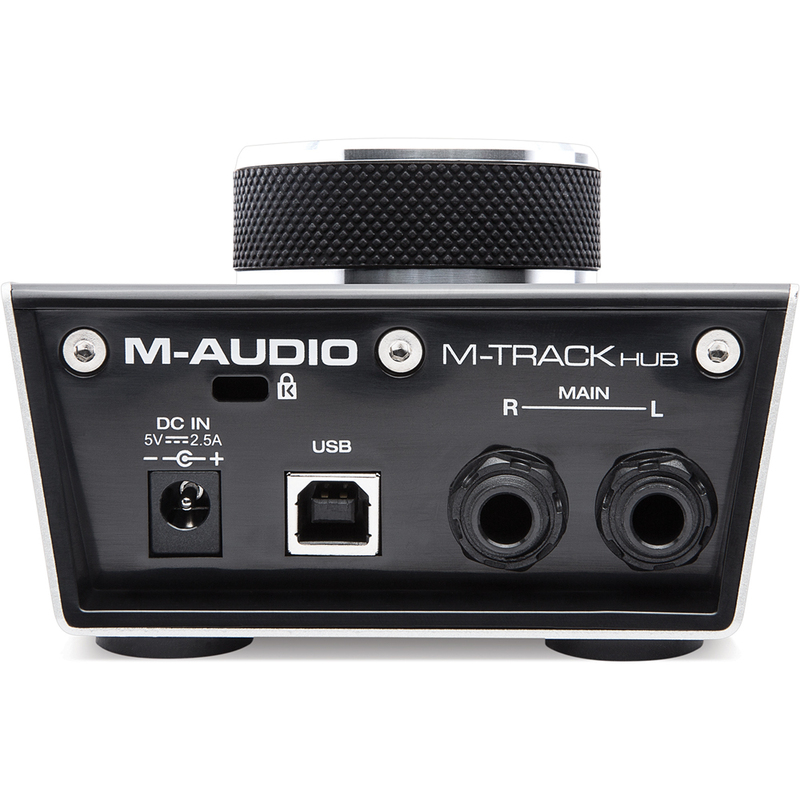 The M-Track Hub is a 3-port USB monitoring interface that is perfect for anyone who demands a high-quality audio interface monitoring hub. It is a USB hub and features two balanced 1/4-inch TRS audio outputs, controlled by a large, solid-feeling metal rotary level knob with black-knurled rubber ring. There are three USB inputs and a 1/4-inch headphone jack with level control for private listening. 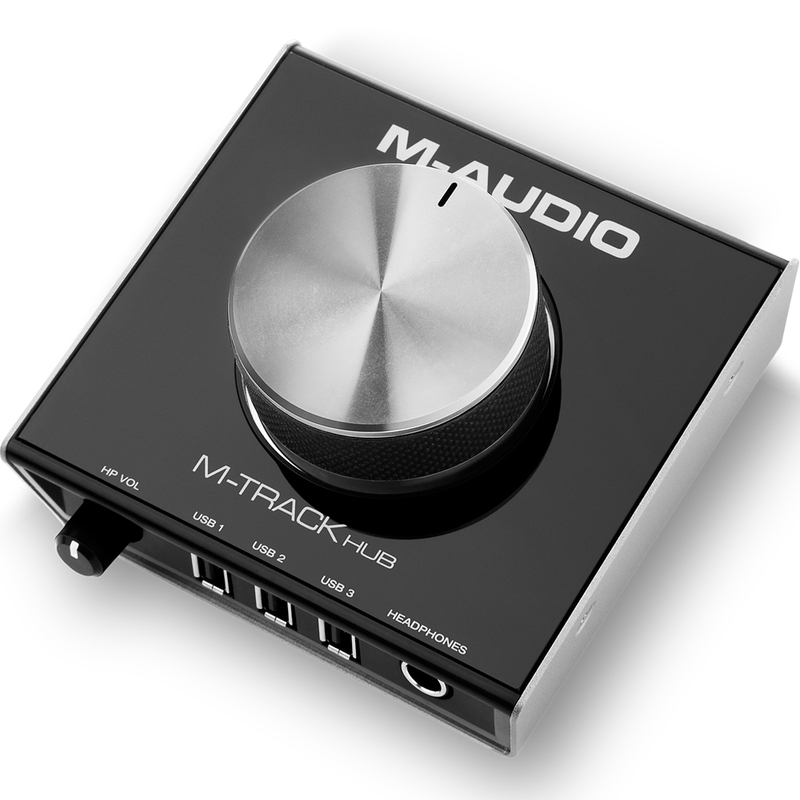 The M-Track Hub is the ideal way to unite your VI control and audio output in one sleek, all-metal, space-saving solution.